Strengthening the community of recovering addicts & reducing stigma, one workout at a time. Reps 4 Recovery is a 501(c)3 non-profit organization that strives to strengthen the sober community and health of recovering addicts and alcoholics through fitness coaching, community, and mentorship. Reps 4 Recovery is currently headquartered out of and operates in Reno, NV, but our goal has always been to grow beyond the Biggest Little City and offer programming, funding, and support to a network of Chapter Cities throughout the country. We launched this fundraising campaign with the specific goal of turning this dream of expansion into a reality. 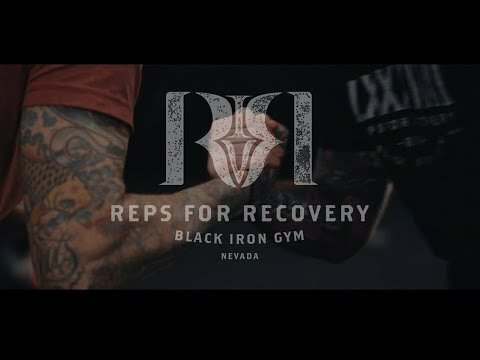 What does Reps 4 Recovery do? Founded in 2015, Reps 4 Recovery (R4R) began with a simple idea: how can we utilize fitness to enable people in recovery from addiction to practice commitment, improve self-worth, foster community, and build strength again? And in doing so, can this bolster their sobriety, self confidence, overall health, and success? The first step was to open the doors of Black Iron Gym to the recovery community, free of charge. Since then, the program has grown in scope and effect; what began with a handful of participating members in recovery from addiction and alcoholism has blossomed into a member base that consists of almost as many R4R members as there are paying members. What started as a singular offering— a free gym membership— has unfolded into a wealth of offerings specifically for our R4R members, including yoga, olympic weightlifting, and CrossFit classes, as well as weekly group talk sessions. But the true figurehead of the Reps 4 Recovery program is the weekly Sunday community workouts, where both R4R members and potential members come together to strengthen their minds, bodies, and recovery. We host these community workouts at a time in which the gym is reserved specifically for the R4R community in an effort to eliminate the intimidation factor of walking into a new gym where you don’t know anyone. One Sunday workout in and most folks already feel at home— one member even told us, “I left that first day and felt like I knew everyone there my entire life.” Aside from building a tight knit community, these Sunday community workouts have proven to be the entry point from which many newly sober folks join the gym and establish a consistent exercise schedule. What will we do with A Community Thrives Grant? There is a real hunger in communities around the country for fitness based addiction recovery and support programs. We would like to satiate that hunger with the establishment of a Chapter Program. This grant will allow us to get the R4R Chapter Program off the ground, and share a slice of our Sunday community workout magic with people in recovery all over the country. The combined total we raise between crowdfunding and grants awarded will go towards covering the costs to perfect our model for expansion, recruit Chapter volunteers, rent gym spaces, train and onboard Chapter Presidents, and cover other associated costs that arise in hosting Sunday workouts in cities around the U.S.
Let’s bring R4R to YOUR community! If you are interested in spearheading local fundraising for this campaign in order to put your city in the running for an R4R Chapter, please reach out to us at hi@reps4recovery.org. Check out the Team tab above to see which cities are already represented! For more information about Reps 4 Recovery, visit us at reps4recovery.org.